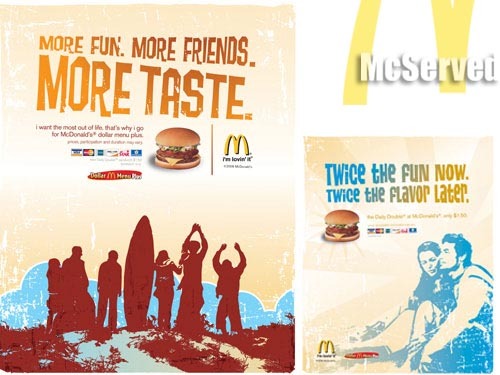 TWICE THE REGRET LATER | McServed: Getting Served McDonalds Fast Food Funnies, Laughs and More! LOLz!! I wonder why the regret? Uh, you seriously do not know why? I can’t type! Why is this moderated? How does this failure in advertising elud them?………………………………………………………………………………………………………………………….. The guy in the smaller poster on the right looks like he’s about to Get Some. Courtesy of McDonald’s, I guess.